Containing less refined sugar than lemon curd, this reduced sugar orange preserve is delicious both spread on toast and used as an element within cakes and bakes. It makes a lovely alternative to the usual lemon curd. homemade batch of orange curd. Not only is it as delicious as its cousin, lemon curd, it also contains far less refined sugar. Never having made an orange curd before, I carried out a little search on Google and noticed that in the recipes I read people were commenting that the orange curd was far too sweet. So baring that in mind and realising that oranges are obviously naturally sweet compared to lemons I knew that my go-to lemon curd recipe would need adjusting to cater for the different sweetness level of oranges. As somebody who enjoys her sweet bakes and desserts I must admit that I was a little surprised by how much less sugar this orange curd actually needed. To be specific, our lemon version used 225g of sugar compared to 150g in the orange version. That’s a massive 75g less! To be honest, the refined white sugar really wasn’t missed, the Orange Curd simply doesn’t need it due to the oranges being naturally sweeter than the lemon. In fact, those of you who have less of a sweet tooth than me, may even be able to reduce the 150g even further without feeling that you were compromising too much. However, if you fancy your curd a little sweeter, you can easily add a little more to suit your own preference (I outline how to do this within the recipe). 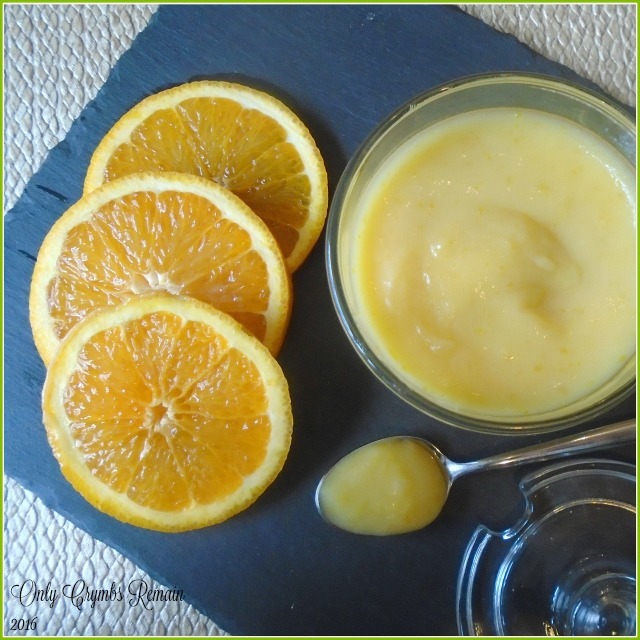 Without any compromise on taste, this reduced sugar orange curd is delicious. It is lovely both spread onto a round of toast and used in bakes. It would look fabulous topped with a pretty preserve cover and offered as a homemade gift to foodies. Time: hands on time about 40 – 45 minutes; cooling time. Storage: In an airtight jar in the fridge for 2 weeks. (for ease of moving them) and place in the warm oven to dry completely. dry heat can damage them. 2. Set up the bain marie. Select a pan which allows your heatproof bowl to sit on the pan safely. 3. Allow the butter and sugar to melt. Strain the lightly beaten eggs through a sieve (to remove any shell or sinew) into the bowl. Stir with the wooden spoon. the curd to fully cool before placing in the fridge. to have been removed even with thorough washing. 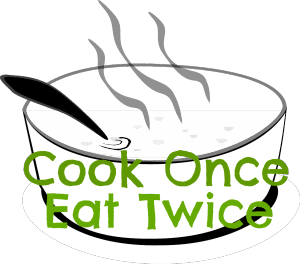 b) When sampling the curd in step 3 consider that tasting at this stage will only give you a guideline to the final sweetness level as the flavours will develop and alter further during the cooking. It certainly has been delicious in warm toast Kirsty, and made a lovely change to the usual lemon curd. Lovely! I don't think I have ever tried orange curd. The last curd I made was pineapple flavoured. It didn't work particularly well (way too runny) but it tasted amazing incorporated into banana bread! 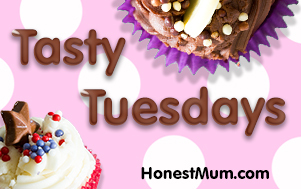 Ooh pineapple curd on banana bread sounds a brilliant idea Jo. Did you add a little lemon juice or even use a few lemon pips to help it thicken? I really was pleasantly surprised by how much less sugar I needed to use to make the same volume of orange curd as I make for the lemon version, and this is coming from a girl who certainly does have a sweet tooth. Ooh yeah, blood orange sounds a great idea! I have actually seen loads of curd recipes made with different fruits over the past months, including, I believe, rhubarb – another great colour – I've only tried the lemon and orange so far. I recon you would definitely be able to reduce the sugar content further Eb without it feeling like you were compromising. In fact I though of you as I wrote that part of the post knowing that you don't really have a sweet tooth. Another gorgeous looking curd. I really must try to make some soon. I wonder if you can use raspberries? I've never tried making one with raspberries Alison, but I would imagine that it would work. It'd make a great colour!